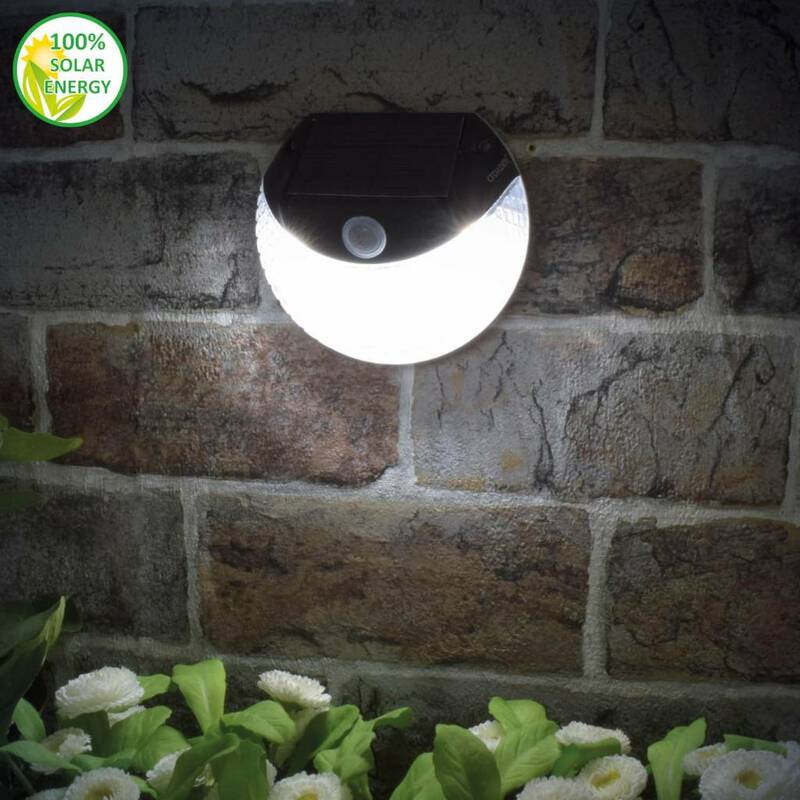 The Secunda is a walllight with motion sensor. When the Secunda burns a its maximum modus, there will be a bright white light. 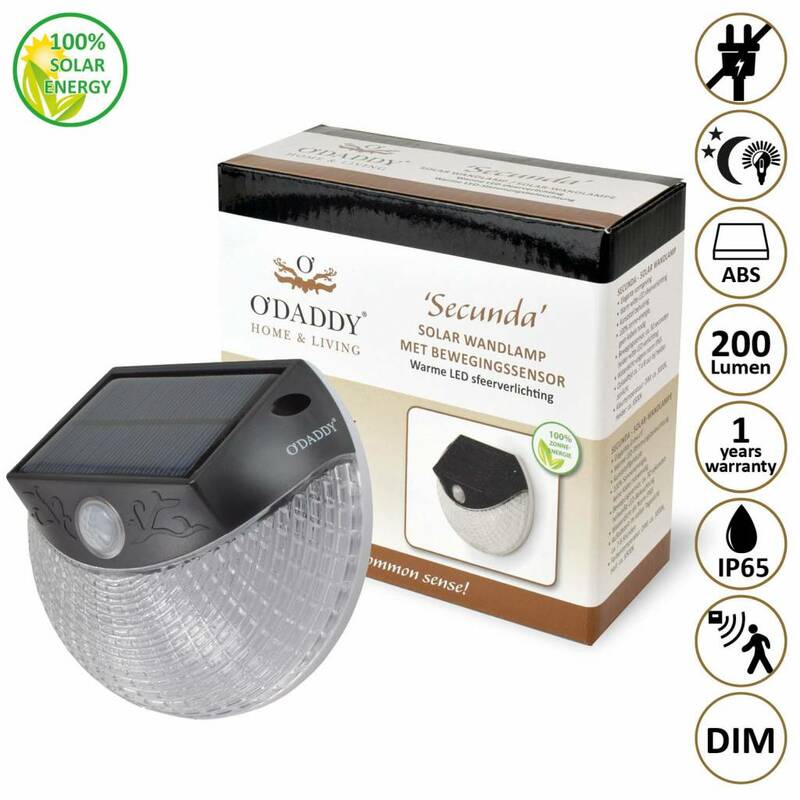 When the Secunda goes into DIM modus, there will be a wam white ambient lighting. The Secunda is a wall light with motion sensor. When the Secunda burns at its maximum mode, there will be a bright white light. When the Secunda goes into DIM mode, there will be a warm white ambient lighting. Ideal for a mounting on a fence, border or a house. The Secunda is very easy to mount. It is a matter of drilling 4 holes / screws and hang in a sunny spot, fastening material included in delivery. 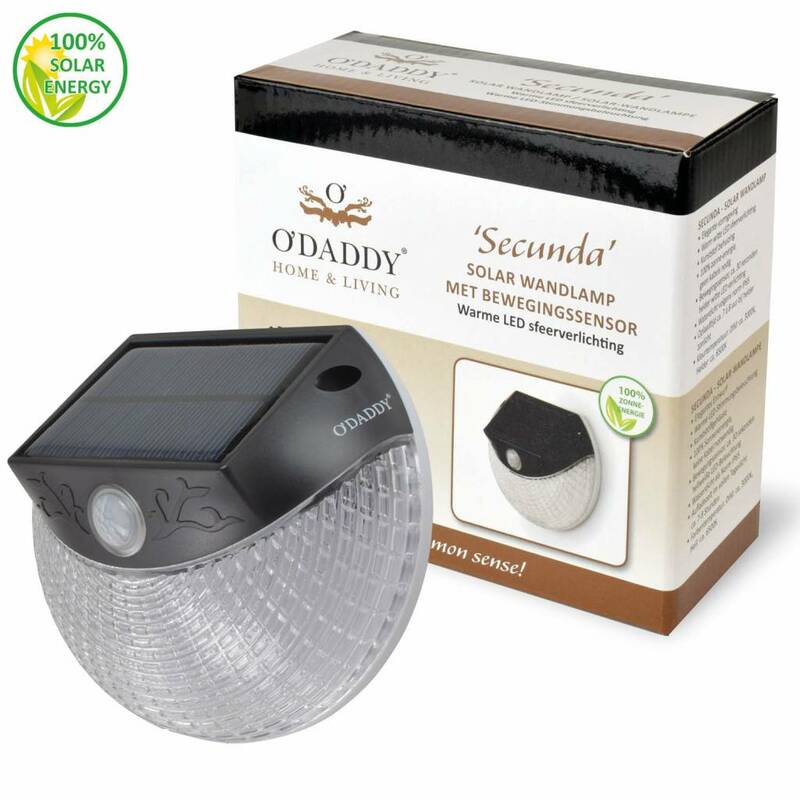 This 100% solar performed lamp is a great asset to any garden, wall or fence. Warm white (Dim, approx. 2700K) and white (Maximum mode, approx. 6000K) LED ambient lighting. Material, high quality ABS and PC. 8 super bright LEDs, approx. 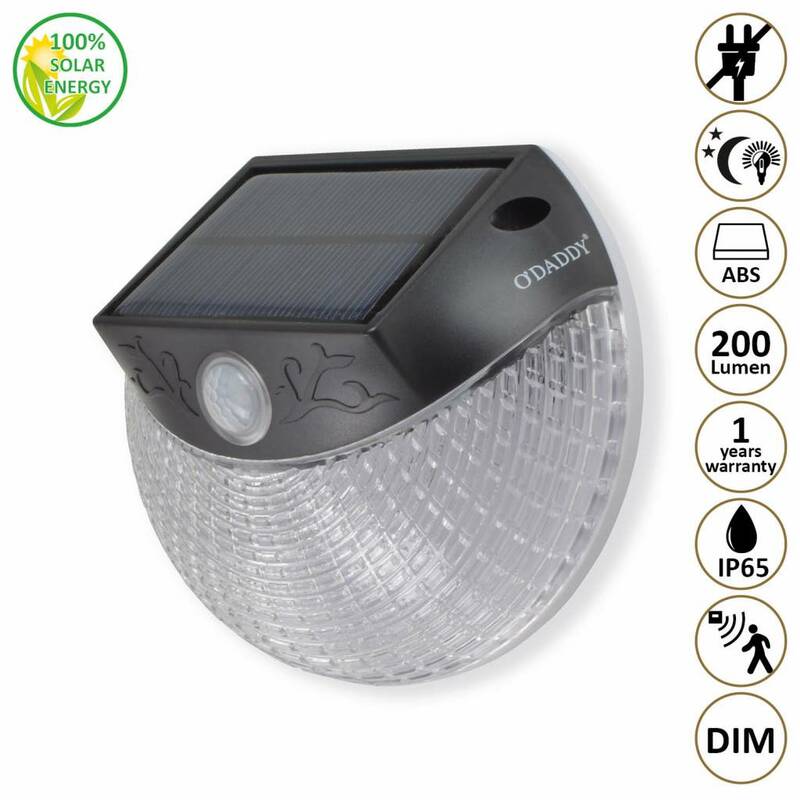 200 Lumen (similar to about 20 Watt light output). DIM (warm white) approx. 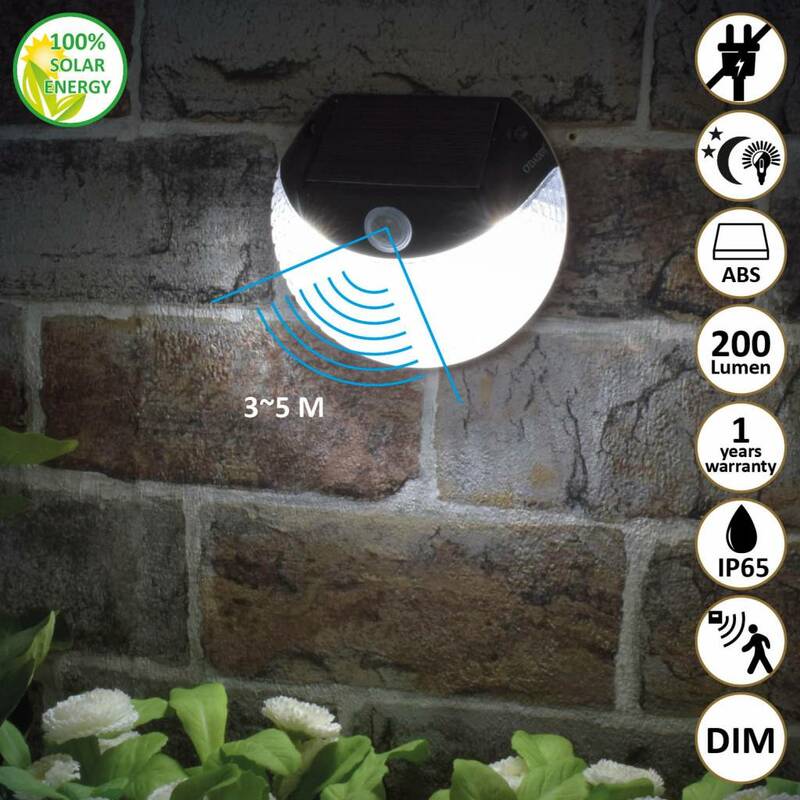 100 Lumen (similar to about 10 Watt light output), motion sensor (white) approx. 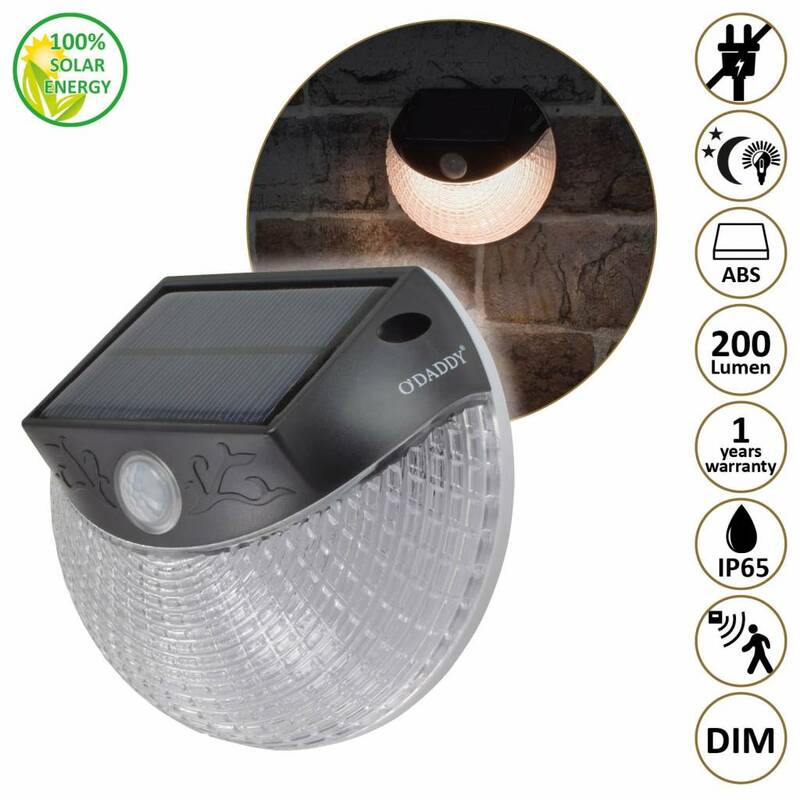 200 Lumen for approx. 30 seconds. High power battery, rechargeable lithium-ion 2600 mAh. In the manual is wirtten that the distance between the screw holes needs be 83mm, unfortunately this is a mistake, the correct distance is 88mm. Ideal mounting height: We recommend mounting the lamp to a maximum height of 2M. 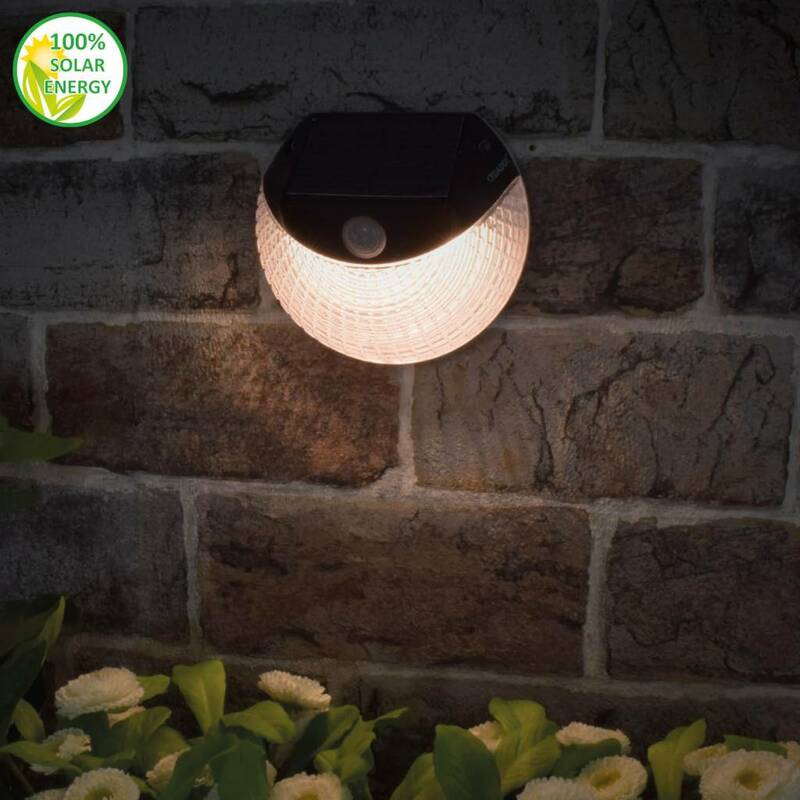 This way the Castor will light up your garden without loss of light intensity.